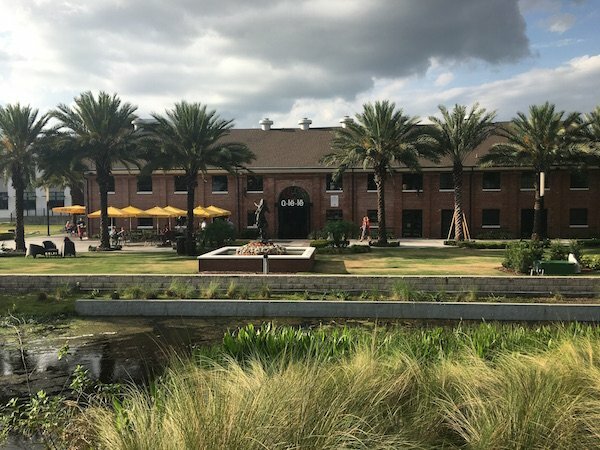 Ulele serves Comfort Food inspired by Tampa’s indigenous people. I gotta tell you that I was a little taken by how massive and beautiful the property is. Once inside it was comfortable and I loved those massive doors/windows that open up to an incredible view which just adds to your meal. 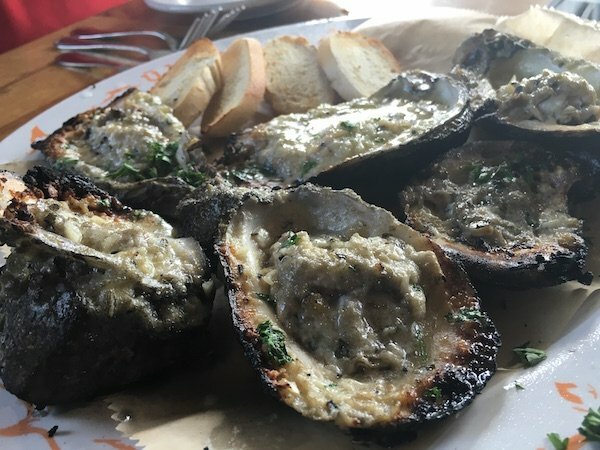 I can count on one finger how many times I’ve eaten Oysters before, and my wife Marcela even less. I think the word “Wow” is the only thing that comes to mind after the first bite/slurp. I’d be down for some more of these anytime and Marcela’s now a believer too. 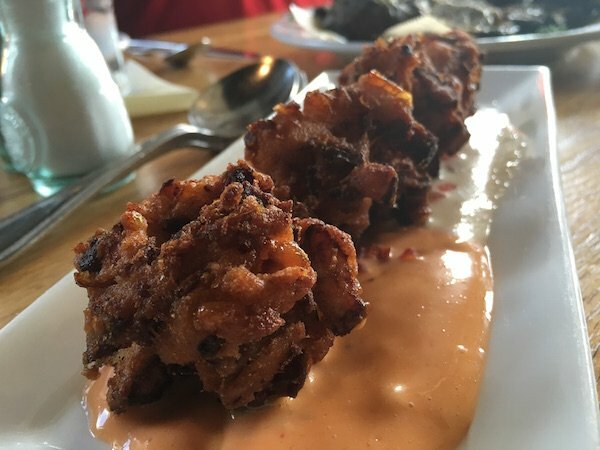 There’s more to those Alligator Hush Puppies than it appears, there is a great depth of flavor. Now before you turn up your nose at the thought of trying these this is what’s in them: Alligator, Country Ham, Bacon, Jalapeño & fresh Corn. I know. I know. And those two sauces (Honey Datil Pepper and fresh ground Horseradish Aioli) are on the next level, trust me. My bud John asked for the Crab Mac & Cheese. 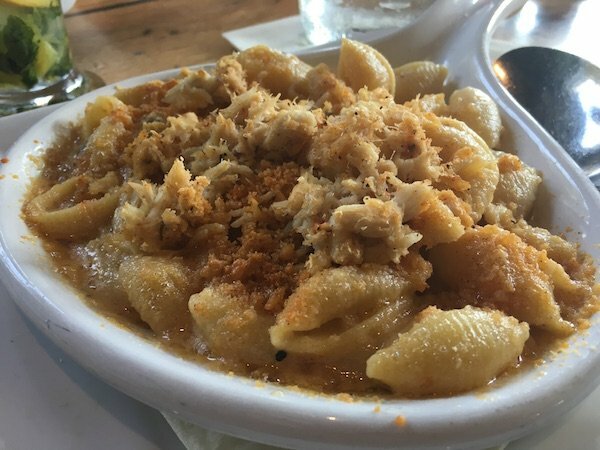 The four Cheese Mac is topped with Blue Crab and some Panko bread crumbs for some crunch. He ate it as if it was his last meal on earth. 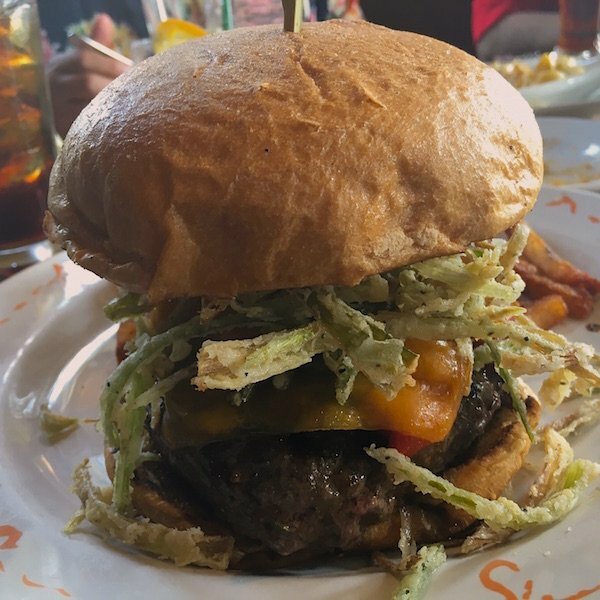 The Ulele Burger (the reason I came to Ulele) did not disappoint. Listen…..can you hear me? 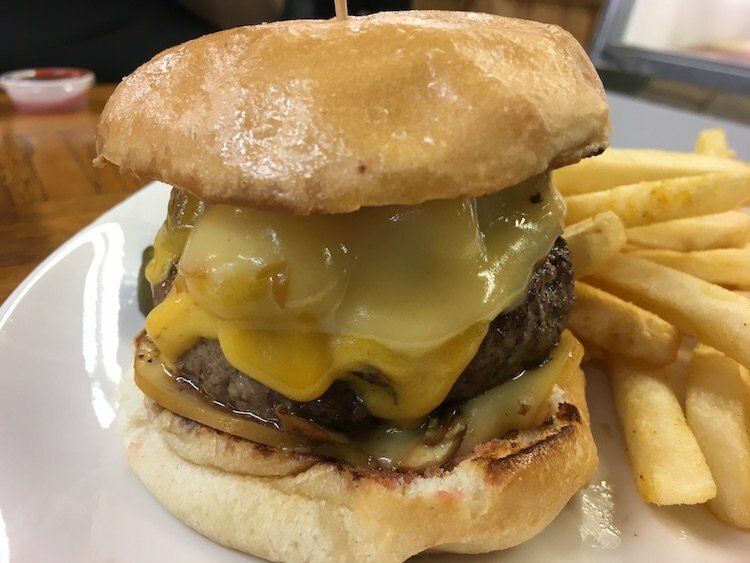 OK, Just checking….the Ulele Burger features a Short Rib/Brisket/Chuck Burger patty blend topped with Wisconsin Sharp Cheddar Cheese, Portobello Mushrooms, Fire-roasted Red Peppers, Fried Leeks and then a healthy drizzling of their house Steak Sauce. After unhinging my jaw I was able to take a full bite that brought all the flavors together, from there it was on. I had to share with Marcela, well I didn’t really have to but I did…..whether I should have is a different question altogether. 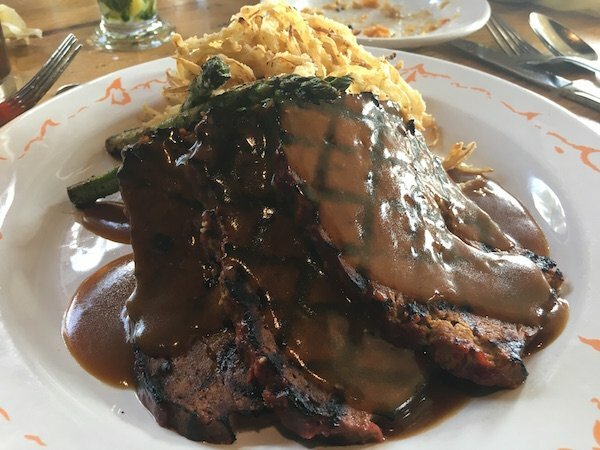 John orders the other dish on the menu that had my eyes mesmerized, the Water Works Meatloaf. The only thing better than an excellent Meatloaf is one who’s been given some love marks from the char-grill. 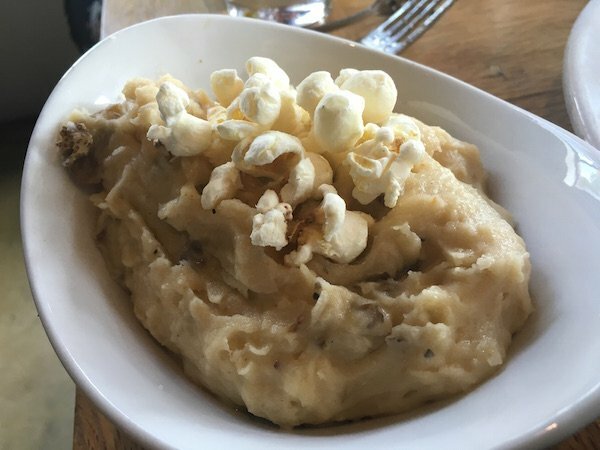 And another big yes to the White Cheddar Popcorn Mashed Potatoes, the ingredients alone tell you it’s a winner. 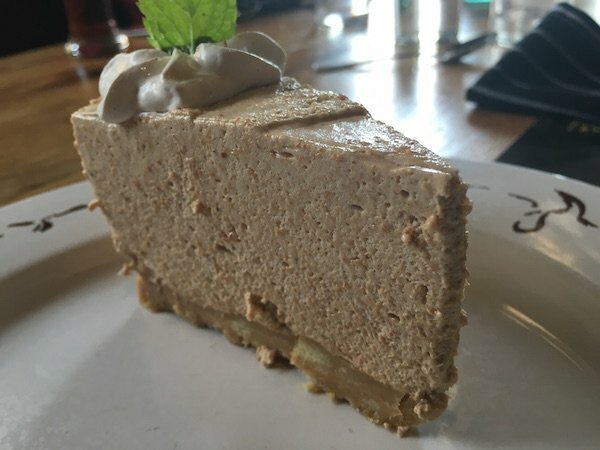 I thought we were done until I saw the word “Guava” on the dessert portion of the menu. 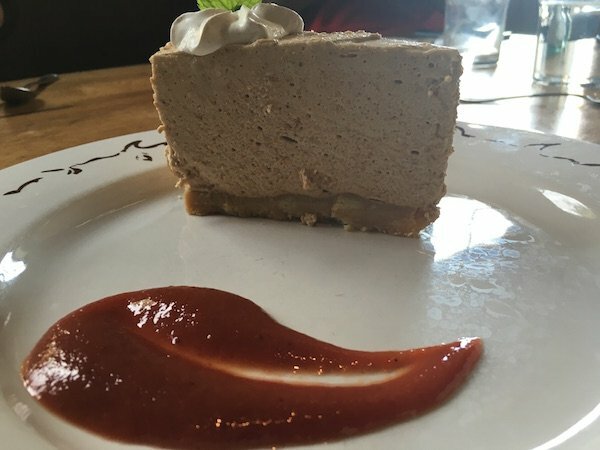 Fortune Taylor’s Guava Pie with its Shortbread Cookie crust made its way to our table to ensure that there’s no way that a food coma could be averted. It was a very fresh, filling and tasty meal from start to finish. We also had some great local Craft Beers but their names escape me now. My suggestion when you visit is that you pace yourself or come with a party of 4 so you can divide and conquer.